The Music Committee at Bailey Baptist Church is composed of three people who strive to locate and prepare a variety of styles of music to enhance the worship experience each Sunday and for special events. The Adult Choir not only leads worships songs and specials each Sunday, but also offers praise to God through cantatas at Easter and Christmas each year. 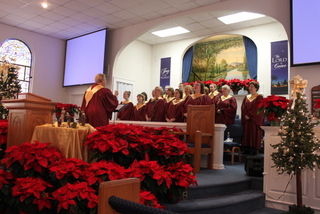 Once each quarter, the music committee organizes "singing service" featuring music by members of Bailey Baptist Church. 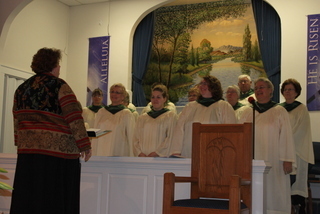 Each fall, the choir combines with choir members from the other church in the community for a Community Singspiraion.